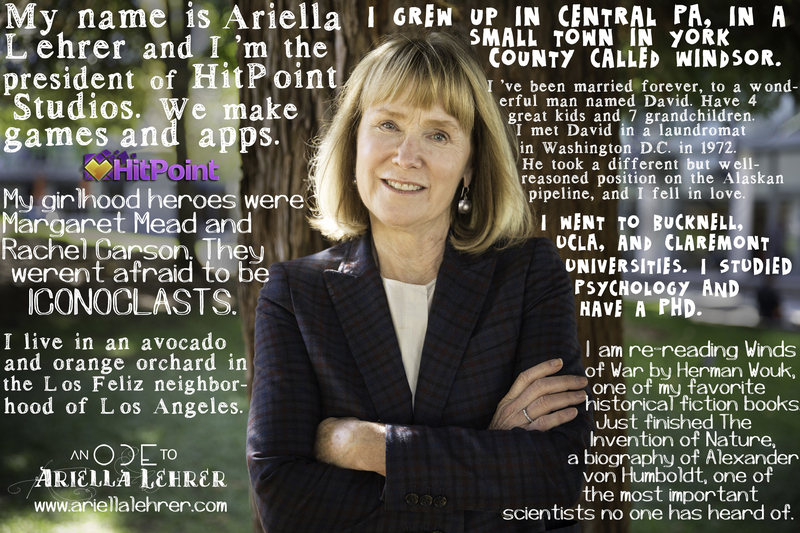 About - Ariella Lehrer, Ph.D. I am the President of HitPoint Studios and CEO of Legacy Games. Since graduate school, I have been interested in concepts such as attention, memory, problem solving and constructivist theories of learning, and how these relate to the design of interactive experiences for kids, families, and professionals. Over the years, this fascination has taken many forms, from my first titles for The Learning Company and Walt Disney, to Legacy’s many educational simulations (including doctor, vet, and paramedic), to our four Crayola creativity and game apps. Along the way, Legacy has achieved numerous “firsts” in our goal of making great interactive products. Our Emergency Room and Pet Vet simulations allowed anyone to play doctor, and ushered in medical games of all types. We created the first game based on a TV drama, Law & Order, which led the way for many subsequent TV adventure games. We were pioneers in successfully integrating some amazing licenses into hidden object, match3, and endless runner games, including Murder, She Wrote, Criminal Minds, Tarzan, and many more. And we were one of four companies to create a launch title for the revolutionary Google Tango AR platform, Crayola Color Blaster. What animates me now, with Augmented and Virtual Reality technologies evolving at a rapid rate, is the potential to create entirely new experiences that bridge the real and virtual worlds in unique and wonderful ways. As a result, I have joined with our long-time development partners at HitPoint Studios to pursue AR applications in games, retail, business, and training. As President of HitPoint, together with CEO Paul Hake, I am helping to chart a path forward during this exciting time in our industry. Legacy Games will continue on, supporting its profitable retail business at Walmart. 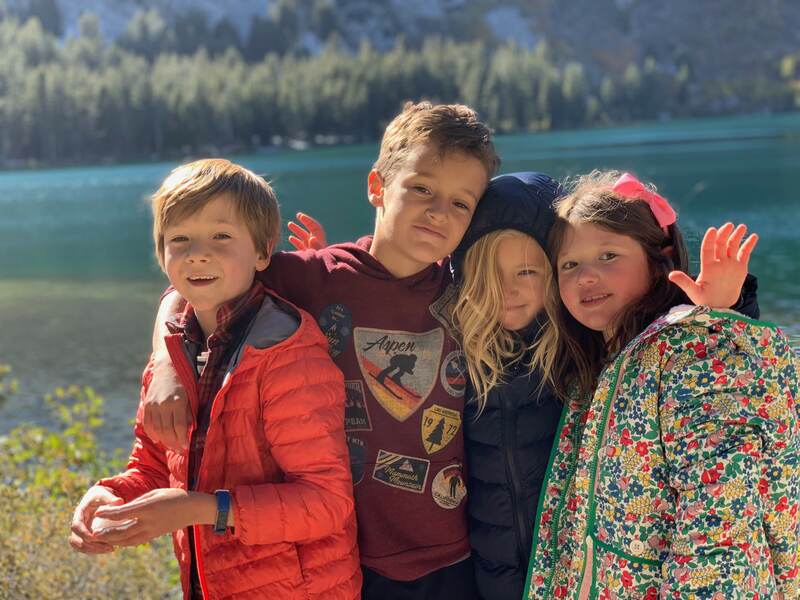 My husband, David, and I have four children – Eli, Jonah, Rachel, Leah – who make us proud every day. I live in the Los Feliz neighborhood of Los Angeles, tucked away among the best tasting heirloom avocado and orange trees in the world. David has created a virtual playground in our yard, complete with a “clubhouse” in the trees and zip line, which our eight grandchildren and their friends enjoy every weekend. My undergraduate degree is in Psychology, from UCLA, and I have a PhD. in Cognitive Psychology from Claremont Graduate University. You can reach me at alehrer@hitpointstudios.com.